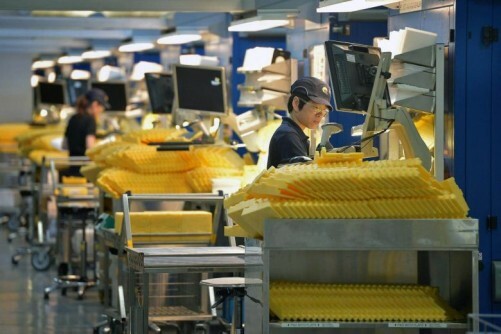 SINGAPORE'S manufacturing sector shrank for a third straight month in February, reinforcing expectations of weak economic growth this quarter. 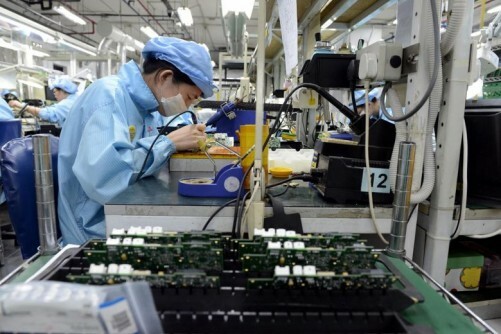 The latest Purchasing Managers' Index (PMI) also showed that the electronics sector contracted for the first time after 24 straight months of expansion. Electronics, which contributes about a third of total factory output, posted a reading of 49.8, down from 50.5 in January. The downbeat PMI readings follow anaemic industrial production data out last week. The PMI, an early indicator of factory activity, is based on a survey of purchasing managers at more than 150 factories here. The overall reading for last month was 49.7, down from January's 49.9. A reading above 50 indicates growth. The Singapore Institute of Purchasing & Materials Management cited a further fall in new orders for the contraction. Data last week showed factory output grew just 0.9 per cent in January from a year earlier, far below market expectations. 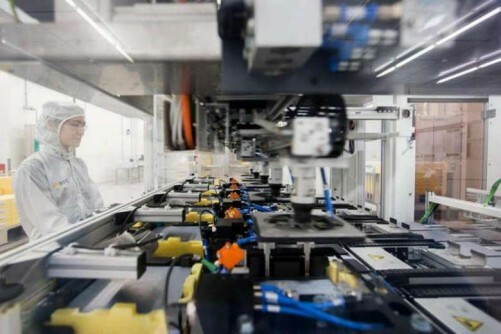 Selena Ling, head of treasury research and strategy at OCBC Bank, said: "Both the overall manufacturing and electronics sectors saw lower new orders, new export orders, production and order backlogs, pointing to softer external demand...in general." 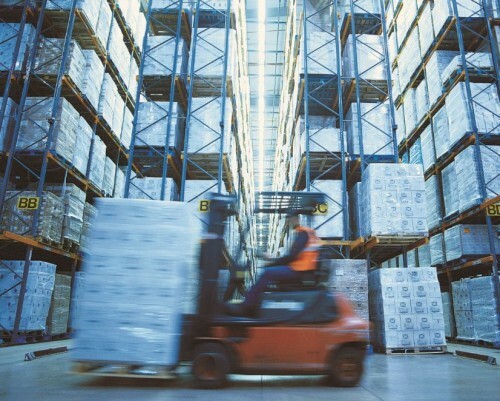 Bank of America Merrill Lynch economist Chua Hak Bin said: "The weaker PMI builds on the dismal manufacturing figure for January, reinforcing the view that first-quarter growth is sinking." Ms Ling posited possible seasonal effects, such as Chinese New Year falling in February this year, instead of January. She noted other global leading indicators are also mixed. "The regional manufacturing PMI cues were conflicting - mixed for China (official PMI versus HSBC PMI), higher for Taiwan and Vietnam, and flat for South Korea." Ms Ling said OCBC had cut first-quarter manufacturing output estimates to a 1.9 per cent contraction year-on-year from zero growth previously. It also cut its economic growth estimate to 1.9 per cent from 2.2 per cent, taking into account "the disappointing January industrial production and the dismal February PMI readings". But Barclays economist Leong Wai Ho sees green shoots emerging by the second quarter. 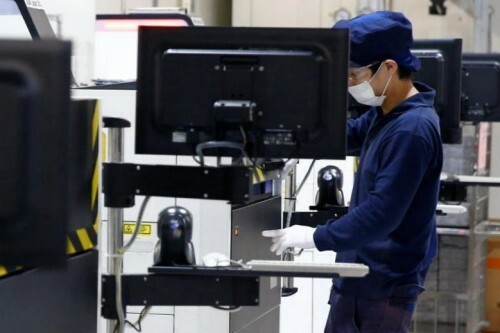 Manufacturers in North Asia should be running down inventory levels, as more consumer electronics launches are expected next month, which implies growing demand for electronics components, he said.